Do you love detailed worlds? Enjoy worldbuilding? Welcome to the solar system of Avenoth, home of humanty, magic, gods, and at times a disturbing amount of teas. 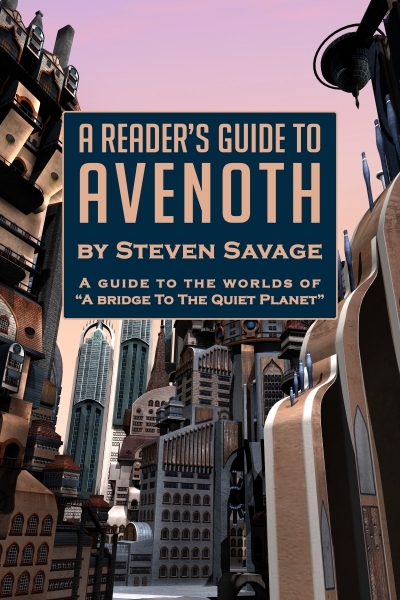 This is a free guide to the setting of the techno-fantasy adventure, "A Bridge To The Quiet Planet." It's not just a detailed guide, but an example of the fun you can have with worldbuilding, and an excellent companion (or introduction) to the novel. Gear up, get ready, and journey to the Twelve Great Cities, the demon-prison of Pandemonium, the grave-world of Godsrest, and more . . .